Is there any information deep in the recesses of your collective minds on Wyda or the 19 Danubians (also called the 19 Tibetians), Klima (not "climate" in German but a system of self-defense)? 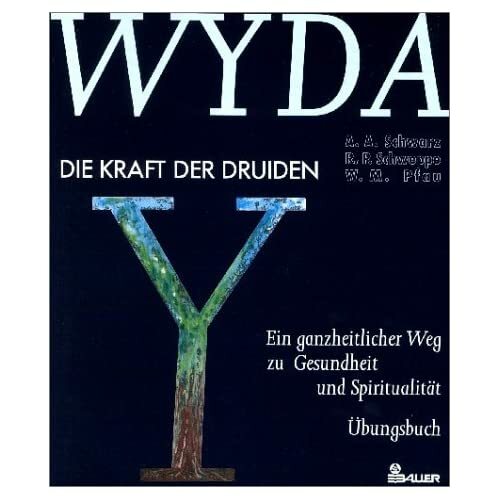 There are several books on Wyda (Keltic Yoga) in catalogs by a German bookseller but they are written by a woman named Cohen. This inspires little confidence. The 19 Danubians are a series of movements for flexibility and to open spiritural centers. I know five of these as they were in a woman's magazine as the "Five Tibetians". An internet friend who knows the Danubians says it is the same. Likewise, he was taught Klima by a former SS man in his youth. Any info. out there? I cannot find anything on Klima and Wyda in English. Never heard of Wyda but it sounds highly suspect. ...Klima (not "climate" in German but a system of self-defense)?...Likewise, he was taught Klima by a former SS man in his youth. Any info. out there? I think you are refering to Glima. It's an Icelandic form of wrestling. I think it is more of a martial sport than a martial art, especially considering that it has what seem to be very un-dynamic, restrictive rules, namely most of the sport consisits of using your opponents belt for throws, holds, etc. Thanks Theudiskaz! Please allow me some latitude with names since my American source was getting this from a Balt in the SS. It sounds like the real deal. Glyma/Klyma is a method of self defense but Wyda is "Celtic Yoga" to my knowledge. Prior to Subgnostic's post, Wyda was known only in German language and via two books by a Jew in German. My oldest daughter is deep into her Celtic roots (which is great as far as I am concerned). She has made two trips to Ireland and loves that country. She is also deep into Yoga. I suggested Wyda to her and offered to translate the Jewish book on the subject for her if she wanted to do an English version. Because of the Jewish origin of this knowledge, we were turned off and never went further. Now, we have something quite different with Subgnostic's post. Maybe this can be brought to the English speaking world after all. I will contact my daughter. Theudiskaz, thanks again, I will refer your post to my friend who taught Glyma in Alabama for some time. He showed me a move or two when he was here teaching me the Danubians (another story). He can fight. How different is Wyda from Hatha Yoga? That is one big question. Apparently, Wyda has its origins in a pruely European tradition. There ought to be some differences and insights which are more applicable to Westerners. But I really don't know because all I have seen are a couple reproduced pages of the two books written by the Jewish woman in German in a catalogue. I see you are a yoga teacher so if you find out anything about this question, please give us a report. My friend Greg has a book on the Danubians from which he says Palaties drew its inspiration. The Danubians have postures and a whole body-energy philosophy. Greg installed a copy on my computer but the book is not out yet. I keep pushing him on this. If not 'Neo-Danubians', then what?